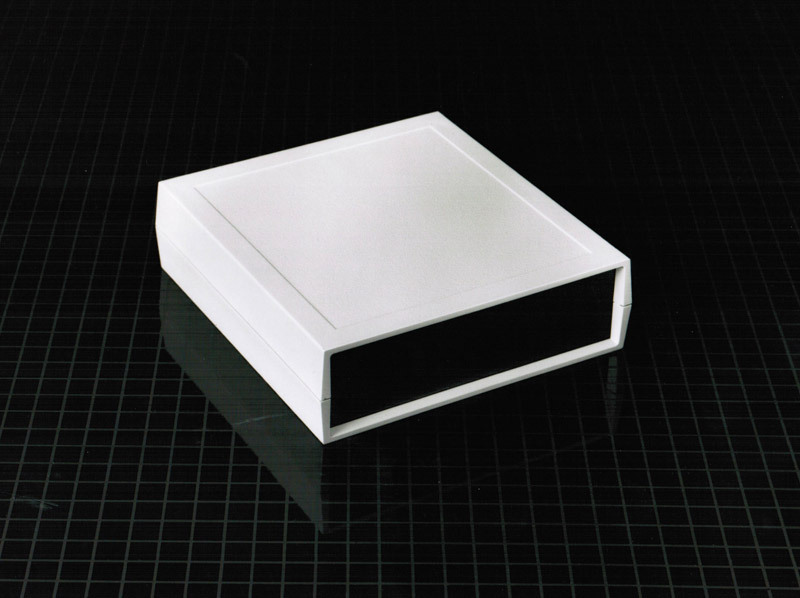 This small plastic desktop enclosure is our smallest enclosure. This smaller ABS desktop enclosure is suitable for applications that need to sit on a desk or work bench. The 150X5 desktop enclosure measures 1.500" X 5.080" X 5.300" and has 33 cubic inches of internal space for housing your electronics and circuitry. This ABS desktop enclosure has multiple options for internal mounting of your circuit board by utilizing the molded-in card guides and pc board mounting bosses. This enclosure is rugged yet pleasing to the eye and textured to resist scratching and scuffing. This file is in a PDF format. 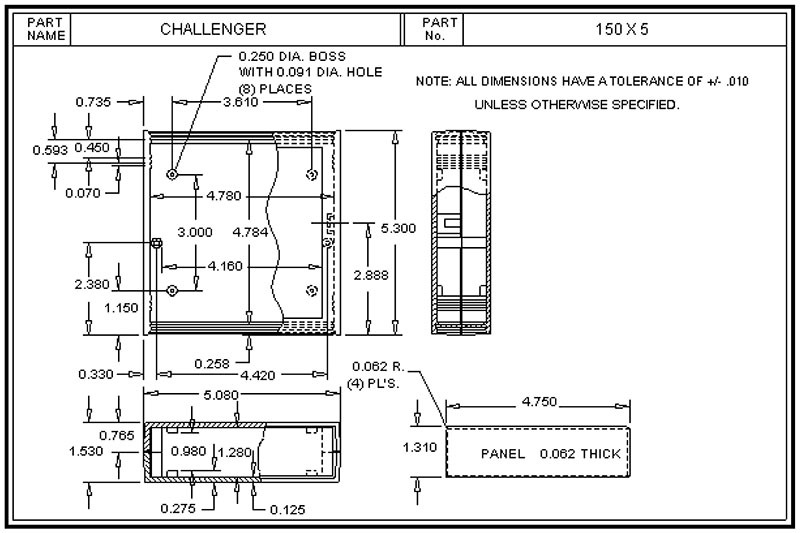 This is the drawing for the 150X5 desktop enclosure with end panels.